In 1973, only 28% of all U.S. jobs required postsecondary education. By 2020, 65% of the jobs will require this level of education. 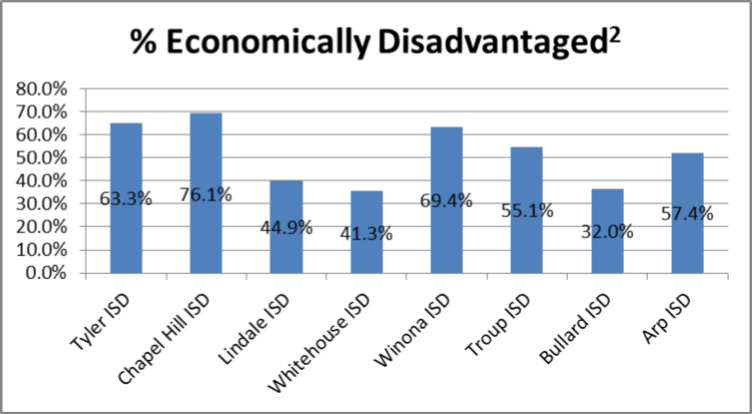 In Smith County, the percentage of residents with a postsecondary credential is ~35%.